Yes. But go easy. There will be Catholics (and lovers of Renaissance Architecture) reading this now. Do please respect them. I'm neither: but I've been there, and it's an awesome human feat of design and engineering. Remember that many other great works, in almost every continent, have been lost forever because of someone's strong feeling about religion. Whatever that strong feeling is, it's often destructive. Your thoughts have validity, of course. But if you state them too forcefully, at the wrong time when people can't hear them, then you're likely to just create enemies and bad feeling. Then no-one wins. Wait a week, I'd suggest. Then maybe we can discuss with more equanimity, and a broader view, what may have been lost. https://en.m.wikipedia.org/wiki/Cath...ton,_Kentucky)Bill is absolutely correct- imagine that Petra or Stonehenge were destroyed. Its not necessarily about religion, but history and culture. Most people join religious sects for the social aspects, not necessarily the religious dogma. Not too far from where I am located (about an hour) is a minor replica of Notre Dame- its design was inspired by the French Cathedral. It is named Saint Mary’s Cathedral Bassilica of Assumption. I took a tour there as child. Quite beautiful with a lot of occult architecture ( hidden spiral staircases and lookouts). I was not reared Roman Catholic- this was a school trip. I was the unwitting member of the Anglican Church down the road from this Basillica. I don't need to say more on that aspect, Bill. To change direction to what I think is going to be more significant sooner is that I think this event is something as psychologically impactful to the French as 9-11 was to Americans and just as deeply symbolic. I agree with the strong suspicion that something like this is no longer ever an accident in our world of 9-11's. All the gargoyles happened to have been removed during remodeling going on.... couldn't have done it without the massive scaffolding. The question is, what from inside was already removed? It's just the Day One of questions I suspect. https://www.youtube.com/watch?v=xzW255065XQ Angels & Demons (10/10) Movie CLIP - Science and Faith (2009) HD Religion is flawed , Man is flawed . I was raised a catholic , I use to go to church every weekend as a boy. Timelines of good vs evil vs todays views and views 500 years ago evolve as civilizations , cultures and yes religions evolve and thats ok, thats who we are, that makes us -US. I'm not a strict catholic if you will, but walking into ANY dwelling of worship of any faith is a special place of peace. For me it is a time of solitude and a time for a one on one communication with our creator. There is a certain peacefulness in these dwellings all across this world, some simple and plain and some majestic and grand. As with a baseball stadium my focus is on the game when I am there , but in a Cathedral like Notre Dame even from 20 years ago I still remember the feeling of peace and being overwhelmed how grand it was inside. 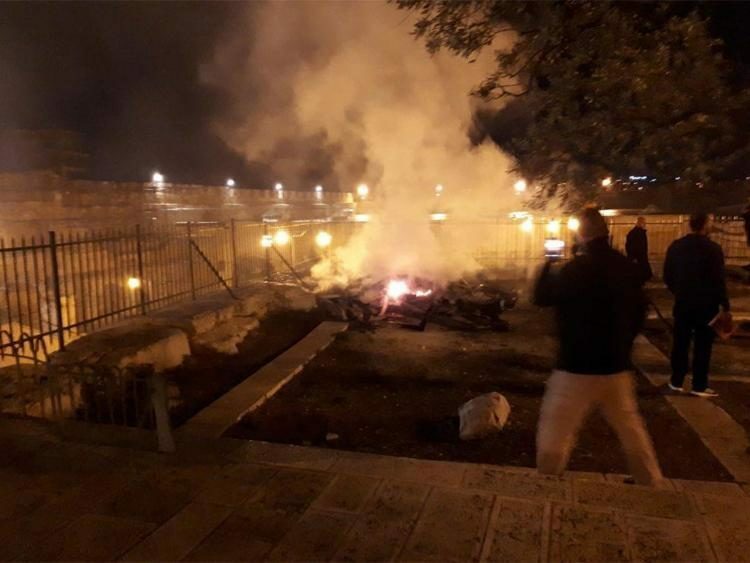 Watching this burn was as painful as watching ISIS blow up those carvings on the side of the mountains, it is part of our history on a worldwide scale that was being lost. It is a tool to teach our future and a place to honor the past in whatever form or capacity. And without it there is no discussion or lessons to be learned. I visited Notre Dame with my brand new wife on our honeymoon 41 years ago. I can still picture the sight that rose above us as we stood in front of the main door with those two amazing towers reaching skyward above us; a fantastic sight and memory; one that I am thankful for and one that I will cherish. What a loss to artisan skill and effort. While listening to the live media commentary of the blaze here in Scotland and taking note of the remark that the Catholic Church had - for quite a few years - found that it had to resort to pleading for public and private donations, due to the Cathedral itself requiring urgent structural repairs, I couldn't help but think that the French Government must shoulder some responsibility here ... after all, it is probably the second most famous architectural landmark in France, which to my mind, without question, should qualify it to receive public funds for the purpose of addressing ongoing maintenance costs. Taking a step back to view this event on a more macro level, the concept of Chaos Theory comes to mind (second law of thermodynamics) ... entropy: everything tends towards disorder ... this is relevant to any area of our lives and our environment that one cares to consider. Change is inevitable; nothing lasts forever. I think also about those shocked and stunned Parisians as they stood this evening in silence to witness the destruction of this wonderful emblem from French history and heritage. should realise they were not given that knowledge for their personal advantage." Joseph Ferrel posted about this on his blog today, he also mentioned 12 other churches have been torched recently and included a link. This is a devastating loss along with the damage to the other churches, brings tears to my eyes just thinking of it. 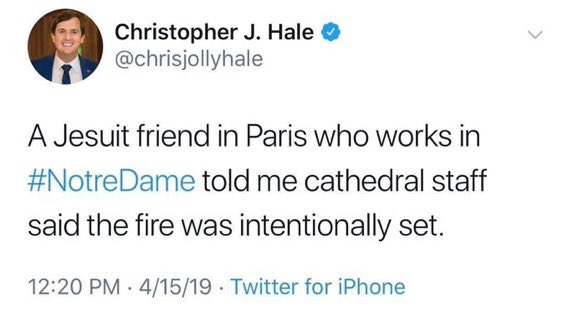 I woke up today(Monday) fully intending to blog about something else, but a friend had sent me a message on Facebook about the spire of Notre Dame de Paris collapsing because of a fire. 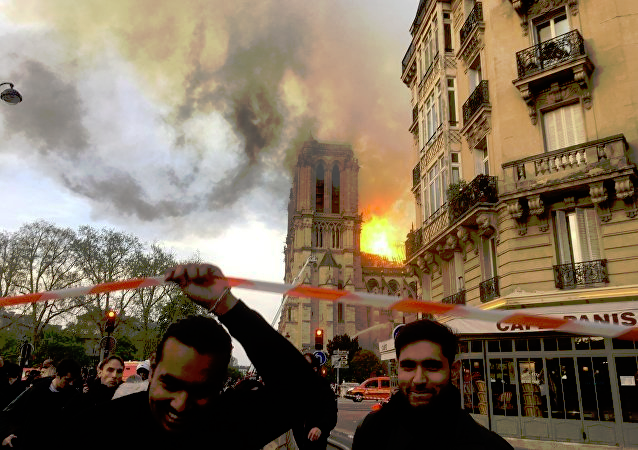 Stunned, I did a quick search and saw a picture, and sure enough, the cathedral was on fire, the roof gone, the spire gone. What will remain, essentially, is the shell of a building, if that. In one day, a cathedral that has been the landmark in Paris for over 850 years, is gone, and I lack the words to express what I am feeling, and I suspect that pales to what the French and Parisians are feeling. In its way, Notre Dame, situated as it is - or was - on its island in the Seine, was a kind of icon of the whole idea of the Ile-de-France, the "island of France," the political and cultural heart of the nation. 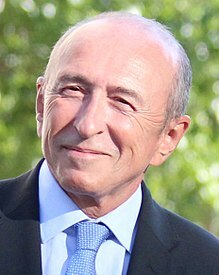 Just a few days ago, there was another fire in another famous Parisian church, St. Sulpice de Paris, though this did not, so far as I know, destroy that church, famous for being the home of the largest Cavaille-Coll church organ in France, and the instrument that Charles-Marie Widor presided at for over sixty years. Apparently, everything in Notre Dame is destroyed - the art, the fixtures, its own Cavaille-Coll organ... everything. It is doubly sad because this fire broke out and destroyed the landmark cathedral at the start of Holy Week in the western churches. According to some reports as I write this, they were able to rescue some of the relics, art work, and the reserved sacrament. Everything else is gone. A ritual as I mentioned. Davic Icke seems to agree. Events like this, which tend to traumatize and affect emotionally most of humanity, are a classic way to produce shock and sadness in order for certain entities to feed off the energy. All we need to do is disidentify from it. This is the awe and the pain. There were worries the fire would weaken the supports holding the massive bell (called Emmanuel) which would end with it crashing down and creating permanent damage, but that proved resilient. The famous author Victor Hugo used the building as a personification of France itself in his 1831 novel Notre-Dame de Paris. The book’s name is often translated as “The Hunchback of Notre Dame”. However, the hunchbacked bell ringer, Quasimodo, is not the main character. The central figure is Notre-Dame. “But noble as it has remained while growing old, one cannot but regret, cannot but feel indignant at the innumerable degradations and mutilations inflicted on the venerable pile, both by the action of time and the hand of man, regardless alike of Charlemagne, who laid the first stone, and Philip Augustus, who laid the last. The book was a success, and it led to a major restoration overseen by architects Jean-Baptiste-Antoine Lassus and Eugène Viollet-le-Duc (1843). Interesting to know is: There was a “forest” in it’s roof. The cathedral contained one of the oldest surviving wood-timber frames in Paris. Around 52 acres of trees were cut down in the 12th century. Each beam was made from an individual tree. For this reason, the lattice of historic woodwork was nicknamed "the Forest." It has now been destroyed by the fire. There was another major disaster, on the same day, 107 years ago. In the morning of April 15th 1912 the Titanic sank. And to show the size of the ship, here below a link to a picture (from "Le petit journal", April 17th 2012) comparing the Titanic with the Notre-Dame in Paris. Also, the Notre-Dame is on an island ('Île de la Cité') in Paris. The Titanic was also built on an island, Queen's Island in Belfast. What about the historically paedophilic, murderous and grossly hypocritical farce of the demonic religion that did this? No matter what you say about the Christian religion, it's founder is a force for good and an all around good guy. Compare him to the demented mass murdering paedophiles and robbers that founded other religions. Anyone else see Pet Goat II and see Jesus with fire in his eyes while this building collapsed to his side? 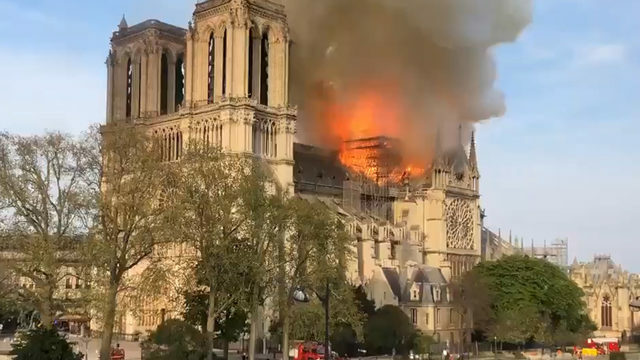 The Notre Dame Cathedral fire Monday was the most recent blow. If this proves to be the work of "radicalized Muslims," (aka Mossad) it may ignite a conflagration between Christians and Muslims. They even got a patsy in Muslim dress! "one of three women allegedly involved in a foiled plot in 2016 to blow up a car packed with gas canisters near the Notre Dame cathedral in Paris, was sentenced to eight years in prison by a French court for earlier offences. Ines Madani, 22, was sentenced following a three-day trial during which she was accused of encouraging would-be jihadists to go to Syria and participate in attacks against France." The fire started on the back side and in the attics of the cathedral which was under current renovation. I suspect the job [could have] be[en] done by special agents with an AI drone (with incendiary apparatus ) directly managed from a van standing on the road near the archevêché square (on green on the map/left back). See the attached file. Dutchsinse just posted on his fb page that a fire in the crypt of St John Cathedral in NYC started on Palm Sunday. His link doesn’t work in UK, try https://www.nydailynews.com/new-york...apa-story.html. Then his post disappeared. There seems to be some correlation, but can’t refer as some links now gone. It seems to me an attack on Christianity, perhaps a key date - numerologist? All very sad and totally unnecessary. Do you know about the "Talking Gargoyle" at Denver International Airport? Cathedrals have been built on sacred places were cults to the earth were done much time before they arrived there. Cathedrals help to sustain the matrix. Many sacrificial rituals have been going on there, besides it can be rebuilded. Most art master pieces had been removed 4 day before the fire. TO me is more important and tragic any wild fire, with all my respect to art . Nothing random here...let´s see were this takes us. BTW a MOsque in Telaviv burned at the same time.